Potatoes (Solanum tuberosum) are perennial plants of the nightshade family (Solanaceae). 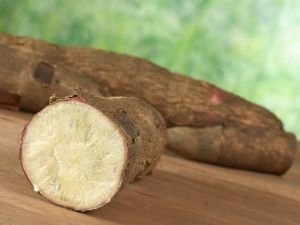 This widely distributed and loved by billions of people around the world plant is of U.S. origin, but is now grown in all parts of the world due their filling, amazing and delicious, starchy tubers. There are about 200 wild potato species, widely distributed throughout the United States, mountainous regions of Mexico, Central America and the Andes to Argentina, Uruguay and Chile. 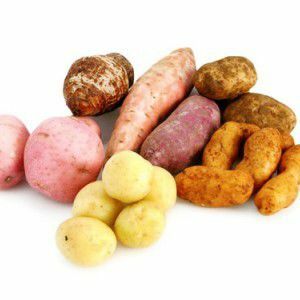 It is estimated that in Mexico’s trans- volcanic zone, located near Mexico City in south central Andes is the "kingdom of potatoes" because there is the greatest species diversity. Potatoes are a slightly pretentious culture because come from low-lying areas of the Andes and grow best in cool and fertile climates with sufficient rainfall or irrigation. That's why Western Europe is a pretty good place to grow potatoes. Tons of potatoes come from the subtropical lowlands of India-Ganges plane in South Asia and potatoes and their variations, such as yam and sweet potato are widespread across the high parts of Southwest China and in the equatorial highlands of Java. Potatoes are the most widespread root crop grown in the world and is ranked fourth in the volume of raw products immediately after rice, wheat and corn. Potato production in the world annually is around 350 million tons, and the average person eats about 33 kilograms of potatoes in a year. In Eastern and Central Europe potato production per capita is highest. Among the world's largest potato producers are China, Russia, India, and USA. The story of the potato began nearly four thousand years ago, when they were processed by the inhabitants of Peru. Famous tribes of this region - Mocha, Chimu and Inca are known to have cultivated more resistant potato varieties. The region, which includes Bolivia, Peru and Chile make potato flour called chudo, which is used for making casseroles and other foods. Spanish explorers and conquerors reached the coast of South America, carrying potatoes to other countries and continents. They also found that potatoes can actually keep sailors filled on long journeys, like crossing the Atlantic. 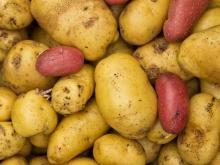 However, the potatoes did not get good reception and recognition when they reach Europe. These were associated with the tribes they were deemed unhealthy, unclean and even "non-Christian". Subsequently, however, belief that potato tubers contain aphrodisiac qualities appeared, making this vegetable popular. Later, after its healing properties had been added to the list of his virtues, then the Spaniards began to like it and the taste. They actually become the first people in Europe who actually considered potatoes a delicacy. The process of adoption of potatoes lasted almost a century. By the mid-seventeenth century, most European countries accept them as part of their meals. 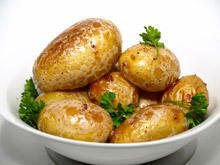 Potatoes are a good source of carbohydrates, protein, minerals and vitamins. 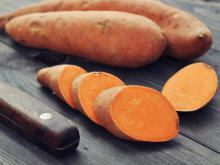 They found high levels of vitamin C, especially in freshly picked potatoes. 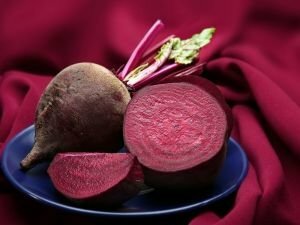 These food roots are not very suitable for diets because they have a high glycemic index. Despite conflicting views on this issue, potatoes are a healthy food. 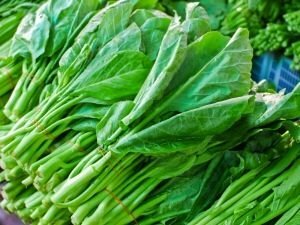 The high content of fiber and potassium makes them the preferred vegetable on the table of many nations, they also contain impressive levels of iodine. Recent studies show that in terms of fat and sodium in potatoes, concerns were false. Potatoes contain very little fat and sodium, unless added during preparation. Green potatoes contain amounts of solanine. Solanine is a substance that can lead to the onset of diarrhea, vomiting, drowsiness and itchiness. 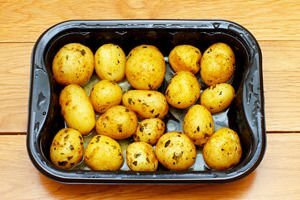 Solanine is one of two toxic compounds in potatoes known as glicoalcalois and the other is chakonine. Each medium potato provides about 110 calories, almost 3 grams protein, almost zero fat, 23 g carbohydrates, 2.7 g dietary fiber and nearly 750 milligrams of red potassium. When selecting potatoes, you need to select ones that are firm and well shaped. You should not buy potatoes that are green or sprouted. It is best to always use fresh potatoes, because only they guarantee you high levels of vitamin C and low levels of toxic solanine. 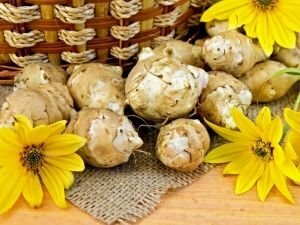 Choose healthy and undamaged tubers with light colored skin. Potatoes should be stored in a cool place and away from light. 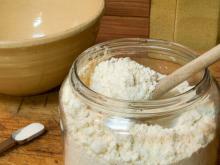 They should not be stored in the refrigerator and should be cleaned before cooking. As one of the most widespread products and roots, potatoes are an integral part of many tables. They have several advantages as a food - they satiate quickly, and have a wide range of culinary manipulation options. In other words, potato can be prepared in countless ways. The most common are French fries, which are probably the most popular side dish around the world. 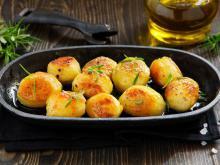 Whether you bake potatoes with herbs, boil them for a salad will make them mashed or sautéed them with some dill and garlic, virtually guarantees that you will get an appetizing dish in any case. Potatoes are added to many types of stew, potato pancakes and potato dumplings are prepared, as are croquettes, soups, casseroles and other dishes with meat. Gratin is impossible without potatoes. These delicious roots are a vital ingredient of moussaka too. 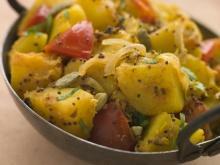 Variations of potato salads are countless. 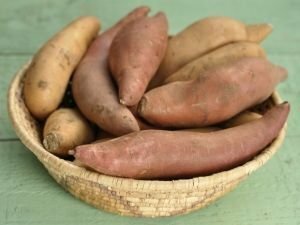 Sweet potato is tasty enough, if only cooked with a little salt. It is known that the leaves of the potatoes are poisonous, because they belong to the nightshade family. But the fact is, that potatoes contain almost all the nutrients needed for sustenance. Positive nutritional values of potatoes include high fiber, potassium and low fat. Research shows that potatoes are one of the best sources of fiber, which in turn helps to lower cholesterol. 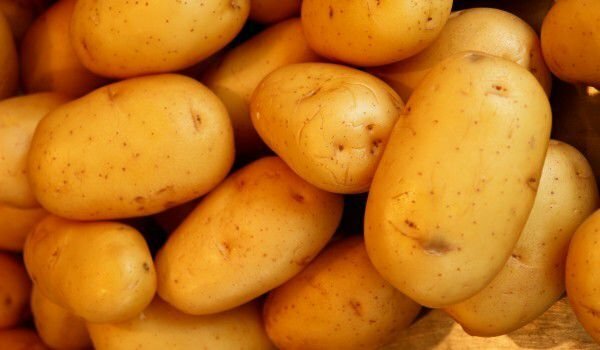 Studies have also shown that a diet including foods such as potatoes, which are rich in potassium helps to reduce the risk of insulin problems and lowers blood pressure. 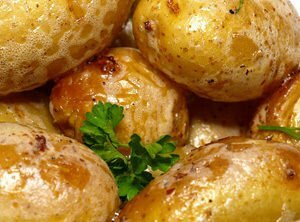 Boiling potatoes reduces the amount of potassium in them. To store nutrients, it is best to prepare potatoes baked or stewed. Potatoes are beneficial to people not only as food and medicine, but they are the raw material for many other products such as starch, flour, ethyl alcohol, dextrin, and fodder. Although in practice potatoes are eaten in industrial quantities from all of us, nobody is immune to potato poisoning and it is not uncommon. Toxic glicoalcaloids are concentrated in high concentrations just below the skin of the tuber, and the older the potato is, the more the solanine in it increases. Solanine is considered a poison that affects the nervous system, causing weakness and confusion. If you eat old and green potatoes, it is not impossible have a headache, diarrhea, seizures, and in the most serious cases- coma and even death. Potato poisoning is related to the amount of toxic compounds you are taking. This does not mean that if your potatoes are starting to turn green, they will surely poison you. The truth is that greening and accumulation of glicoalcaloids can occur independently of each other. 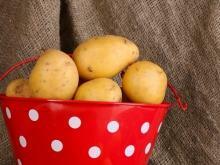 In some varieties of potatoes, higher concentrations of these toxic compounds are found.